This beautiful butterfly bracelet is an ideal gift for her. 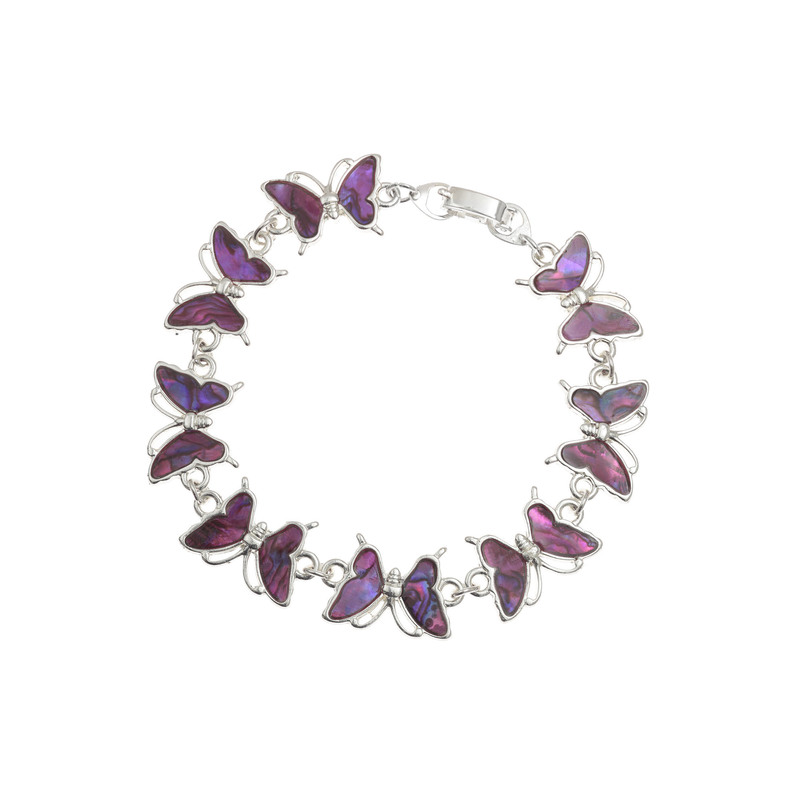 Made from rhodium, the butterfly bracelet is made from paua shell. Paua shell is sustainably sourced from the stunning seas of New Zealand, giving the necklace and earrings the distinctive and induvial colouring and patterns, making this a beautiful piece of jewellery. This bracelet would go perfectly with the necklace and earrings set. I bought this bracelet for my mum for mother’s day. She loves butterflies and the colour purple. However, the bracelet I received is actually a bright pink colour. I’m guessing the difference in colour is to do with the natural properties and variations of the shell used. She still loves the bracelet, as it’s really beautiful, just something to be aware of if you order this. The metal material is also hypoallergenic, which is great.